Tucked away in the South of France, Alexa and Francesca run the most beautiful vintage fashion brand from a small surf town known as Hossegor. Backyard is a collection of handmade blousons, cotton shirt-dresses and delicate, ribbed shirts all modeled by the founders themselves. Introduce yourself and tell us what you do. Hey I’m Alexa and I work as a Freelance PR & Brand Strategist – alongside running a vintage brand called Backyard with my friend and business partner Fran. I’m 27. I’m from London and currently live in the South West France. Did you go to university, if so what did you study? Yep. I went to Southampton Solent, where I studied Fashion Styling & Promotion. How did the idea for Backyard come about? Myself and Fran have always loved vintage – everything from the excitement of finding a beautiful gem, to the concept of a more sustainable approach to fashion and dressing ourselves. We felt there was a gap in the market (particularly for the European market) for vintage that felt premium and reflected a more minimal style aesthetic. I think a lot of people assume vintage looks and smells like granny’s old curtains! But we wanted to show that you can wear and style vintage completely different to that ideology. I love the fact that you’re finding a new home for vintage pieces. Zara’s turnaround rates are two weeks causing so much wastage, do you know what happens to all of these clothes after they go out of fashion? We would love to know! 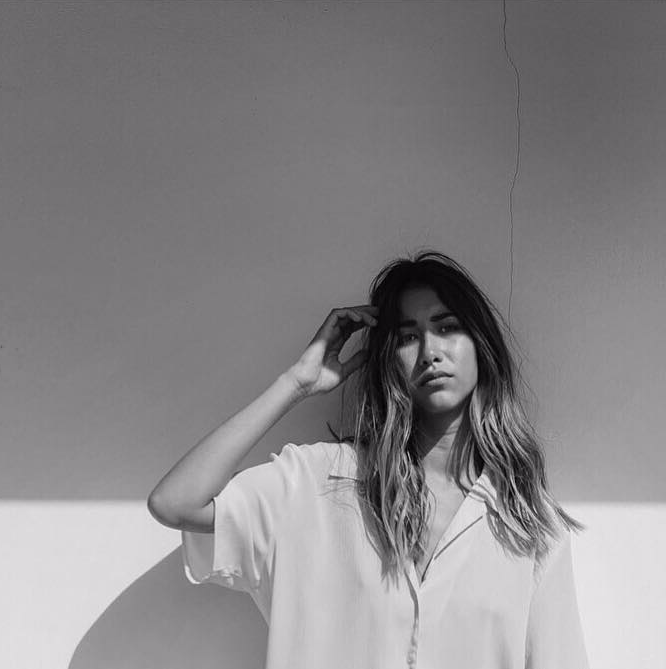 ‘Throw-away’ fashion is what we try to avoid – not only for our planet but to support local and independent brands, alongside ethical working conditions. ‘You can journey to the ends of the earth in search for success but if you’re lucky enough you’ll find true happiness in your own backyard’. The idea of ‘exploration’ – hand picking vintage pieces for our customers in our ‘Backyard’. We hope to one day incorporate Backyard into more of a lifestyle brand, so we felt the name fitted perfectly. Do you design any of the pieces? We don’t design any pieces – everything you see has been hand selected by us and is a one-off vintage piece. Where did you meet Francesca? Do you find your strengths and weaknesses complement each other? We actually both met in France and instantly connected! She has a background in Fashion, styling in particular and we definitely complement each other throughout this creative process. How much are each of your pieces? It completely depends on the fabric, type of clothing and overall condition – we hope our prices reflect fairly. We also want our customers to understand that they are purchasing something that is completely unique and one-of a kind. The online fashion space is becoming so competitive now with all these influencers starting their own brands. Where do you sit against your competitors and how do you think you’ll bring something different to the table? We actually feel that only very few competitors are presenting vintage in the way we do – our different strengths are that we are shooting vintage in a way that hasn’t been ‘over-done’. There are definitely some great vintage brands across the US and Australia...but for the UK & Europe we want to be the vintage brand eventually leading the way. You were recently featured in Vogue magazine congratulations! Post launch, how do you get people knowing about the brand? Luckily, I have a background in PR – however we haven’t actually proactively communicated the brand to press yet as we want to build our brand organically first. We want to make sure our IG feed is at a level where we feel happy that it’s communicating our aesthetic and concept clearly – which naturally comes with time. Your Instagram feed is beautifully curated. Do you think social media the way forward? Will you be using influencers and fashion bloggers? It’s incredible how you can build a brand from scratch through a completely free mobile app. It’s giving creatives and entrepreneurs a platform to showcase their talents. It’s very interesting to see how the industry has gradually changed over the years from when I first started working in PR. Digital PR wasn’t so much a focus…and now it’s all my clients care about! At the moment, working with influencers is not something we will be proactively seeking out. We hope to build organic relationships and partnerships and work alongside people who are true fans of Backyard and vintage. How did you initially fund the business? Both working very hard in our ‘regular’ jobs and saving! What other challenges have you come across along the process? Finding suppliers is very hard! We want to make sure we are selecting the best quality pieces. So, it’s been a lot of effort to sought through the not so good stuff. What do you think you still need to learn in order to take your business where you want it to be? What’s your one piece of advice for someone wanting to start their own business? Make a business plan – even if it’s a general guide. It’s so important you pin down exactly what it is you want to achieve and the steps you need to do to get there, alongside a basic financial plan to begin with. What’s the big dream for Backyard? The 5-year plan? 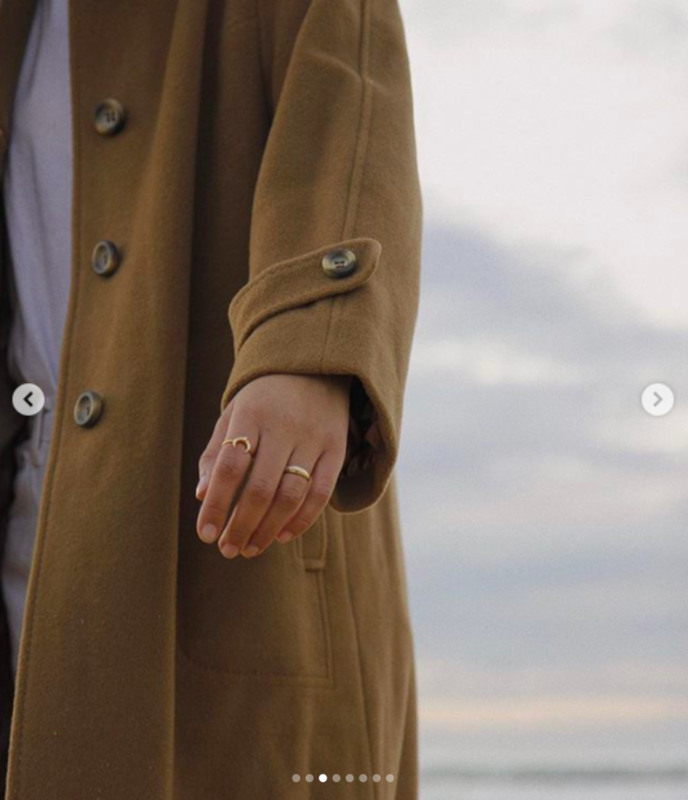 A beautiful brand that incorporates fashion, travel and lifestyle products – maybe producing our own small collection one day! Our very own creative space where we can build an empire. What does the definition of success mean to you? Feeling completely content in the now, whilst successfully supporting yourself through your genuine passions. It takes a certain level of focus, resilience and character in each individual to want to make their mark on the world. What do you think taught you to be this way and what influences have contributed to this? Both my parents have always encouraged me to pursue my true passions; growing up I’ve always wanted to do what makes me ‘happy’ and never working in a job just to make money. My Dad always said ‘nothing worth having comes easy’…and that really resonated with me. If it were easy, everyone would have the dream life! Not being solely driven by money I think is important. I don’t know if it hasn’t anything to do with being a Gemini too. How has a failure set you up for later success? I wouldn’t necessarily say I’ve had a significant failure but throughout my career I have definitely had to work with some very difficult people. As you can imagine there is a lot of ego in the fashion industry. As well as now working for myself as a freelancer, both have given me thicker skin, learning how to not allow people’s emotions and opinions affect me. I also think working as a freelancer, people can take advantage of you (which I have learnt) and it’s important to stand up for yourself and stand your ground. You got to look after yourself! Our identity is never one set, static thing. We are all fluid beings made up of different facets and dimensions that change day to day. Social media can flatten out the depths of personality that everyone has. As with everyone there are a lot of facets to your identity but do you sometimes feel as if you’re being asked to perform one limited role that people expect of you. If so which role? Naturally working in PR – it’s all about communication and how you present yourself, I think over the years I have learnt to be more organic and to not always feel the need to present myself in an inauthentic way. I don’t think anything. I’m a true believer of fate and I wouldn’t be where I am now if I didn’t do all the things I’ve done. To feel truly content in everything I am doing. What brings you real joy at the minute? Like, real unadulterated happiness? Living by the beach has been a blessing! To be able to see the ocean everyday ….and the insane sunsets. It makes me feel so grateful! In the last five years, what new belief has most improved your life? That you can’t control everything and what will be will be! Working out definitely helps me through any anxiety or stress I experience – it’s a chance to feel distracted and just to let go. And of course, you feel great after! I’m also a very visual person – so for me if I feel overwhelmed by certain tasks or work load, I have to physically write everything out in front of me and go through what I need to do to accomplish this. I wake up usually around 8 (I’m really not a morning person! I’m much more a nighttime owl). If I have the energy I go to the gym, usually a Pilates class. Grab a coffee from my boyfriend’s café on the way home – shower and get ready for the day. Then I will set myself up to work from home. If you could gift one book to someone what would it be?